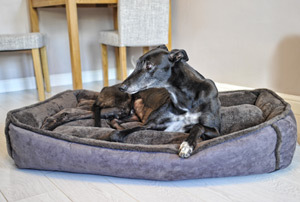 This Giant Cradle dog bed provides a luxurious sleeping area for large, very large and giant dog breeds or those who like to share. 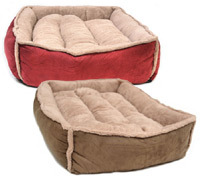 With low bolster sides and a thick comfortable base, this bed is a snoozers dream. 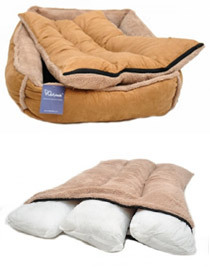 Not only that but the reversible inner cushion makes it suitable for winter and summer weather. 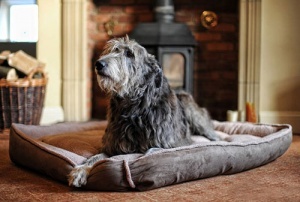 At last, a bed for large dogs to giant breeds like the Great Dane, Newfoundland and Irish Wolfhound. 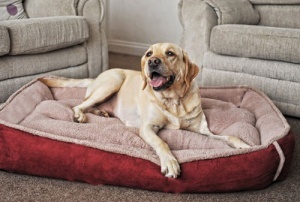 Luxury and comfort for your best friend with a beautiful look to complement your home décor, all at an affordable price. Woof! 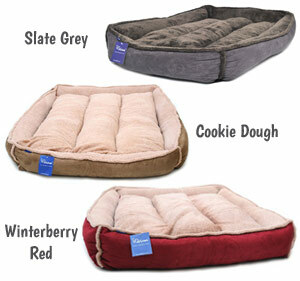 Four spun-polyester filled bolster cushions make the low sides of the bed. The base consists of three further internal bolsters providing unsurpassed comfort for your pet. The inside cover is a warm and cosy fleece on one side. The outer faux suede co-ordinates beautifully and is also on the reverse of the inner cushion cover. The interior cushion is reversible. One side is cosy fleece, which is perfect for winter snuggles. The other side is a smoother faux suede. Simply turn the inner cushion for a surface more suited to warmer weather. 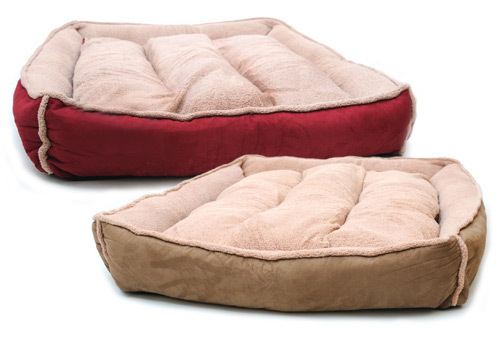 Both the outer bed cover and inner cushion cover are zipped and fully removable. 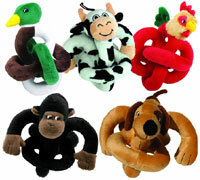 Once removed they are machine washable on a gentle cycle at 30 degrees (do not tumble dry). 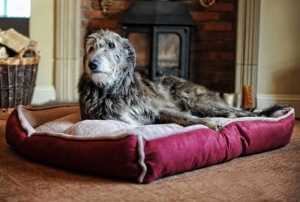 This is a very large bed, especially the XXL. Please be fully aware of the dimensions before ordering. 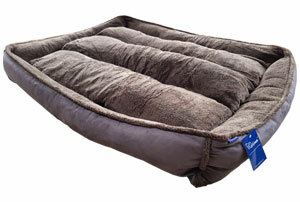 For medium to large breeds, please see the Large Cradle Dog Bed. The covers are machine washable at 30 degrees on a gentle wash. Wash separately. Do not tumble dry or dry in front of direct heat. We advise against washing the internal cushions/filling. 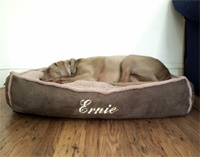 Really struggled to find a bed big enough for my 13 month Dobie, found this website & so pleased I did! 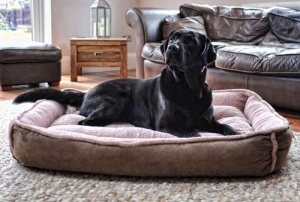 Excellent service & bed is amazing, great quality, also pleased to report that my dog loves it!